Globally, around a quarter of bat species are threatened by factors including habitat loss, roost destruction, hunting, and climate change. To find the most effective ways of conserving these creatures, researchers at Conservation First, the University of Leeds, and the University of Cambridge (where I work) have updated a report that gathers together information on how well attempts to conserve bats actually worked. While the new bat synopsis gathers more information than ever before on ways to reduce the impact of developments from roads to lighting and from farming to forestry, it still highlights shocking gaps in the evidence. Bats are a weird and wonderful branch of the tree of life. The only mammals that can truly fly, and the group that has developed echolocation or “seeing with sound” to its most advanced level, bats are also responsible for such useful actions as eating vast numbers of mosquitoes and pollinating tequila. Personally, I am enchanted by the flutter of leathery wings at dusk. But bats’ nocturnal habits and sometimes bizarre faces have led to many people fearing and persecuting these species. Globally, around a quarter of bat species are threatened by factors including habitat loss, roost destruction, hunting, and climate change. To find the most effective ways of conserving these creatures, researchers at Conservation First, the University of Leeds, and the University of Cambridge (where I work) have updated a report that gathers together information on how well attempts to conserve bats actually worked. First published in 2013, the original bat synopsis was widely read and downloaded, despite the authors finding relatively few studies of conservation actions for bats. The new update just released found 75 percent more studies than the original, and for the first time includes studies originally published in Spanish and Portuguese. Studies are included if they test a conservation action, which could range from adding a bat box to legal protection, and measure the outcome for bats. Lesser Horseshoe Bats (Rhinolophus hipposideros) in the UK. This species, which hunts in woodland and shrubland, is listed as of Least Concern but still decreasing in numbers by the IUCN. 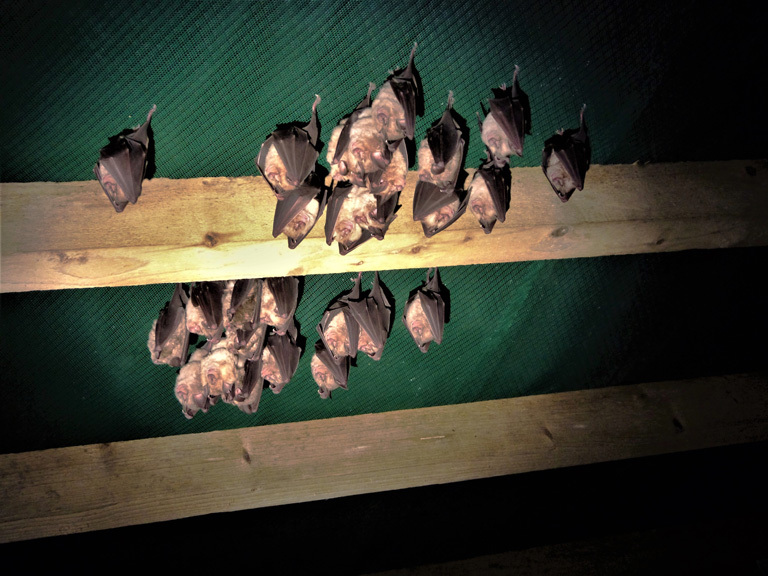 The bats in this photograph are living in a house custom-built for them by the Vincent Wildlife Trust in the UK. Photo Credit: Claire Wordley. Happily, the updated bat synopsis found more studies than the original on ways to conserve bats in the tropics, where bat diversity is at its greatest. Studies in the tropics have tested actions including agroforestry, reduced impact logging, and innovative artificial roosts that mimic tree hollows. Most studies testing whether agroforestry — adding native shade trees to plantations of crops such as coffee, cacao, and bananas — improves outcomes for bats were from Latin America. While, at first glance, the impacts on bats appear to be mixed, by reading the more detailed paragraphs summarizing each study, some clearer stories come through. For instance, one study in Colombia found that, in landscapes where most coffee was grown under the shade of native trees, there was no difference in the number of bat species between shaded (agroforestry) and unshaded coffee. However, in landscapes dominated by unshaded coffee plantations without trees, bat species richness was lower in the unshaded coffee plantations. It’s not just what is in each plantation that matters, but what the wider landscape looks like — enough trees in the wider landscape appears to allow bats to use even unshaded plantations in great numbers. Another subtlety was found in a study from Mexico, which found no difference in the number of bat species captured between agroforestry plantations with different amounts of shade or with different types of trees planted. However, the overall number of vegetation layers in the plantation, and the height of the trees, did affect the number of bats. While there is perhaps no one-size-fits-all agroforestry regime, bats seem to like lots of trees in the landscape and lots of complex vegetation. Common noctule (Nyctalus noctula) in Poland. This species forages over wetland, woodland, and pasture, feeding on larger moths, beetles, and flies, and is listed as Least Concern by the IUCN. This species has been recorded migrating over 1,500 kilometers. Photo Credit: Claire Wordley. Reduced impact logging has been proposed as a way to keep a forest financially viable while not losing the biodiversity that lives there. Reduced impact logging encompasses techniques such as taking just a few trees from each area, ensuring that felled trees fall in a particular direction to reduce damage to other trees, leaving untouched “buffer zones” along streams and rivers, and making sure roads and trails are as narrow as possible. A review of 41 studies from Latin America found that reduced impact logging had a smaller effect on bat abundance than conventional logging, even when conventional logging used similar harvesting intensities as reduced impact logging. 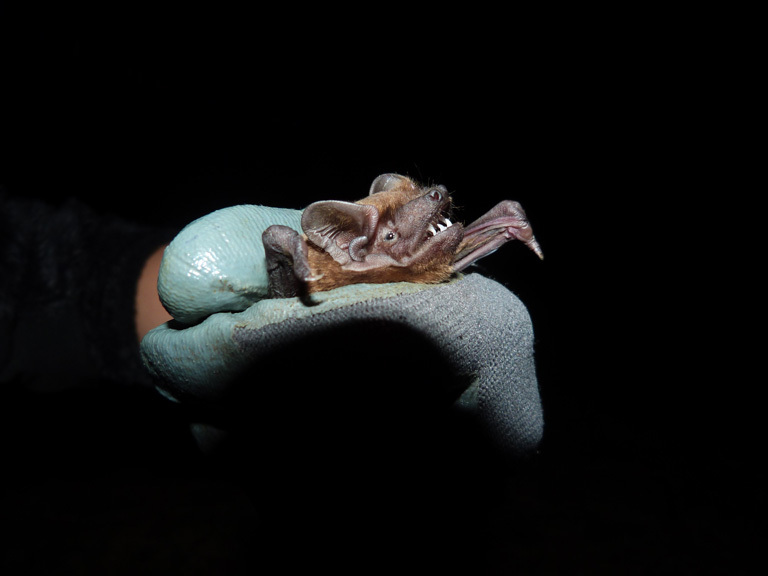 However, in a study in Trinidad, researchers caught more bats in conventionally logged forest than in reduced impact logging sites or even unlogged forest. This may be due in part to the relative difficulty in catching bats in some very dense forests. When people build artificial roosts for bats, they usually go for bat boxes of various designs, often rectangular or with a straight, uniform entrance hole, with mixed success. One innovative study from Costa Rica simulated hollow tree trunks, installed in the shade within forest. They had a 100 percent occupancy rate. 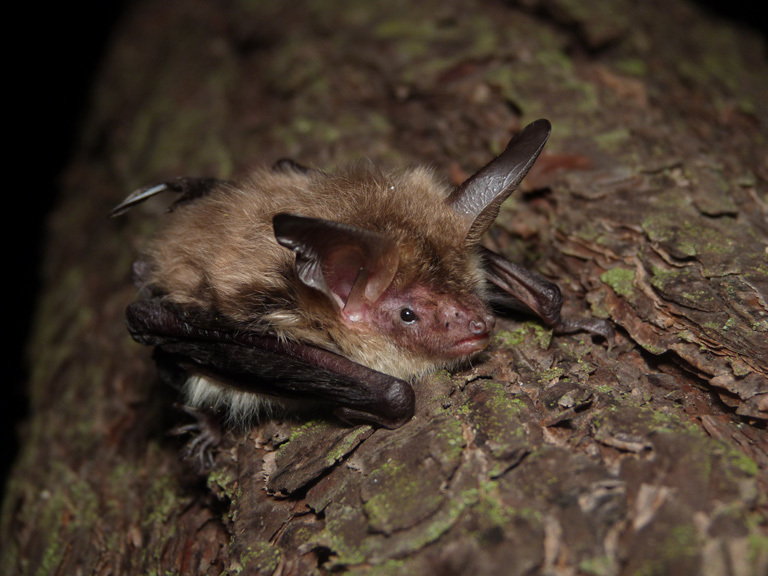 Similarly, hollows cut in trees in Australia attracted long-eared bats. More creative approaches to building artificial bat roosts, especially those that mimic natural features, are encouraged! One of the biggest threats to tropical bats is, of course, climate change. While nothing other than huge emissions cuts will keep the rainforests where so many bats live standing, there are measures that can be taken to mitigate some effects in the short to medium term. Creating artificial water bodies worked to retain water for bats to drink at forage sites in studies from South Africa to Mexico. Reducing the temperature of roosts is another strategy. In one bat house in Spain, bat pups died during a heatwave. Modifications to the bat house included painting it white and elevating the ceilings, which led to more bats choosing to roost there, and as of the time the study was published, there were no more deaths from heat stress. 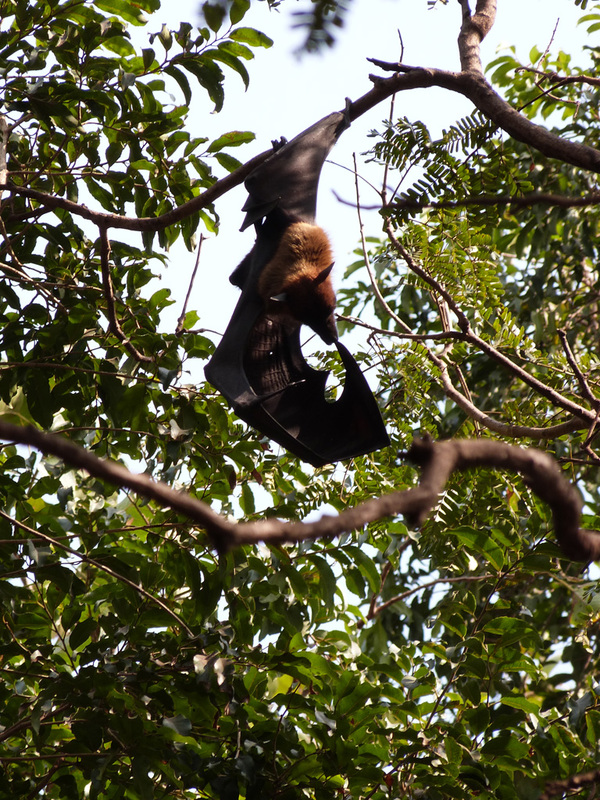 Indian Flying Fox (Pteropus giganteus) in Mumbai, India. This large fruit bat is listed as being of Least Concern by the IUCN Red List, but it is still decreasing in numbers. Photo Credit: Claire Wordley. It would be great to see studies on ways to buffer against temperature extremes for other types of roosts such as flying fox camps, where so many bats died during heatwaves in Australia. Would adding shading canopies work? Sprinkler systems? These evidence gaps hamper efforts to use the most effective methods to conserve these wonderful creatures. So if you work with bats, or study bats, or conserve bats, study how well conservation measures actually work. Knowledge is power. Bechstein’s bat (Myotis bechsteinii) in Poland. This species, whose range extends from Portugal to southern Sweden in the north and Azerbaijan in the east, is dependent on mature, natural forests, and is listed as Near Threatened and decreasing in numbers by the IUCN. Photo Credit: Claire Wordley. Dr. Claire Wordley is a researcher with the Conservation Evidence group at the University of Cambridge. 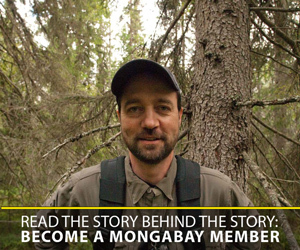 Her background includes working on the responses of tropical bats to forest fragmentation and agricultural activity. This led to an interest in researching how to make conservation change happen, and she now works at Conservation Evidence working with NGOs and government agencies to see how they can best use and produce scientific evidence.